Sleep problems, ranging from the occasional fitful night to full blown insomnia can have an immediate, negative effect on cognitive health. Poor concentration, difficulty remembering details, and falling asleep during the next day are common signs of disrupted sleep. Over 70 Million people in the U.S. suffer from bouts of insomnia over the course of a year, according to the National Sleep Foundation. The estimated cost to U.S. employers in lost productivity due to sleep loss issues runs $18 Billion a year, and over 1,500 vehicle fatalities each year are directly attributed to falling asleep while driving. In addition to feeling rested and refreshed, good sleep helps with two very important cognitive processes that require full sleep cycles to complete. A full sleep cycle encompasses five stages, and is repeated several times during eight hours of sleep. 1. Good sleep clears away toxic metabolic debris from the brain. 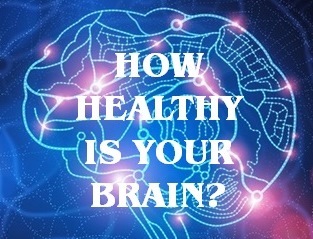 The human brain is 3% of body weight, but uses 20% of body energy, which means a constant buildup of metabolic byproducts including toxic amyloid beta protein (one of the markers of Alzheimer’s disease). Amyloid beta and other byproducts are cleared efficiently from the brain during Stage 3 & 4 sleep – disrupted slow wave sleep can result in toxic debris remaining stuck in the brain. 2. Good sleep is necessary for new memory consolidation, aka learning! New memories formed during waking hours are very fragile. If you are studying for an exam, or learning new skills for a job, a good night’s sleep is essential for those memories to be consolidated and stored for later retrieval. Memory consolidation occurs through the sleep cycle, especially during REM sleep. See this overview on human memory for more information on types of memory we use every day. A cool, dark, quiet room is conducive for good sleep. Temperature preferences can vary between people, but 68F/20C, plus or minus a couple of degrees works best. Tip: wear socks if your feet get cold during the night. Your brain likes a reliable sleep routine, including a consistent wake time. 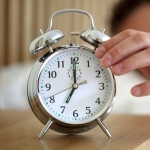 Tip: Before travelling to other time zones, adjust your sleep schedule in 20-30 minute increments, per night. Yes, this means your phone. And tablets. And laptops. And desktops. And game consoles. Tip: Listen to music for an hour before bedtime. Or read a few pages from an actual book. 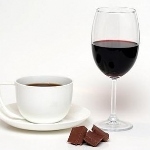 No caffeine after 2pm (includes dark chocolate), limit alcohol use, avoid cheese which increases norepinephrine levels. Tip: Chamomile and lemon balm tea encourage relaxation and sleep. 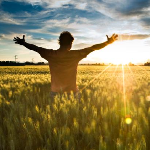 You brain responds to stimulation – morning exercise and exposure to natural light gets your waking hours off to a good start. Tip: A 20 minute morning walk qualifies as exercise. Use a simulated natural light source during dark winter months.